As casino fans, it’s what we’re all after – jackpots! Being able to play casino games on a laptop, phone or tablet is great, but where online gaming really gets interesting and exciting is when huge jackpots are involved. 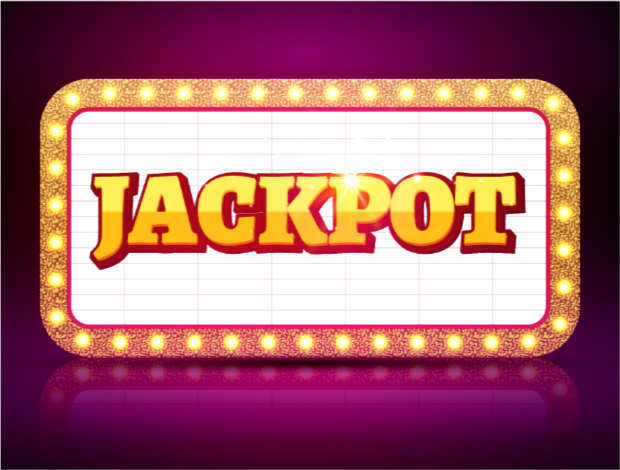 We’re always on the lookout for the biggest jackpots, which is why all our recommended casinos have a large selection of jackpot games on offer. After all, why play for peanuts if you can be in the running for life-changing amounts of cash? If you’re looking for the biggest money jackpots anywhere online, then progressive jackpots are where it’s at. A progressive jackpot is a prize “pool” that gets bigger as more people play towards it. For example, a slot game will be given a starting jackpot amount of $10,000, also known as the “seed” jackpot. As players start spinning the slot, their wagers are added to the jackpot. If the game is a popular one, thousands of people will be playing it at any given time and the initial $10,000 soon becomes $100,000, and then $1,000,000, and so on. When someone hits the jackpot (jealous! ), they receive the payout, and the jackpot prize pool resets to its seed amount of $10,000, starting the whole process over. Well, first you’ll have to make sure you’re playing a game with a progressive jackpot. The best way to do this is to simply search the casino for the “Progressive Games” section. All online casinos will categorize their games according to jackpots so this won’t be hard to do. In terms of actually winning the jackpot, that’s completely up to Lady Luck. Progressive jackpots aren’t paid out according to specific combinations. If you’re playing a slot game, you don’t need a specific pattern of symbols to hit the jackpot. In other words, winning a progressive jackpot is completely random. Just by playing the game, you put yourself in the running for hitting the big one. The exception to this are games like Mega Moolah which have a dedicated bonus round which lets you spin and take a chance at the jackpot. Again, getting to this bonus round is completely random. If you’re a seasoned jackpot hunter you may have noticed that some games have the same jackpot amount as others, and even share that amount with games in other casinos. Don’t worry, this isn’t some online casino conspiracy. To boost jackpot amounts, some casinos and game developers “share” jackpot pools so that they can grow bigger at a much faster pace. If anything, this is an advantage to us players since we get to play for much more money. Also, if you don’t like the gameplay of a specific game, you can still play for the same progressive jackpot amount via a different game, and still enjoy the other features of your preferred game. Another amazing thing about jackpot games is that because there’s such a huge progressive jackpot at stake, the secondary jackpots offered up by the game are also huge. Take Mega Moolah for example. While the progressive jackpot of this Microgaming bestseller is often way over the $1 million mark, the game’s secondary “smaller” jackpots are also very big and grow just as fast as the main prize. Secondary jackpots also have an advantage over progressives since they are won far more often. Not all slot games are progressive. In fact, some of the most thrilling and enjoyable slot games only offer what is known as “base jackpots”. 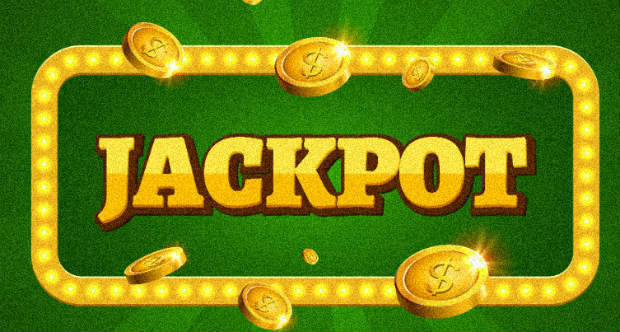 A base jackpot is a jackpot prize that is completely independent of any external prize pool and can be won simply by hitting the correct symbol pattern. While these jackpots are a far cry from the ludicrous progressive amounts, you can still hit extremely large payouts from these games, which is why we recommend mixing up your slots playing to include both progressive and regular jackpot games. Microgaming also offers access to their progressive jackpots via table games so if you’re a blackjack or roulette fan, this could be a perfect way to enjoy your favorite casino games while still playing for huge jackpots. This company boasts a number of record-breaking payouts including a massive €17,800,000 won by a player from Finland in 2013 on the slot game Mega Fortune. In 2015, there were two enormous wins of €8.5 million and €7.8 million. Come on Canada, let’s get some of that jackpot cash too! Look out for additional versions of NetEnt progressives in the form of Mega Fortune Dreams and Cosmic Fortune. Playtech also offer a lot of medium-sized jackpots that can be played for by spinning some of the most entertaining slot games out there. Be sure to check out Thai Temple, Wall St. Fever, Cat in Vegas, and Frankie Dettories Magic 7. Jackpots are at the heart of what great online casino gaming is all about. We always make sure that any casino we recommend has a nice selection of big jackpot games on offer, with at least a few progressive jackpot games on offer. We suggest keeping your eyes peeled for big jackpots. Who knows? You could be the next big winner!